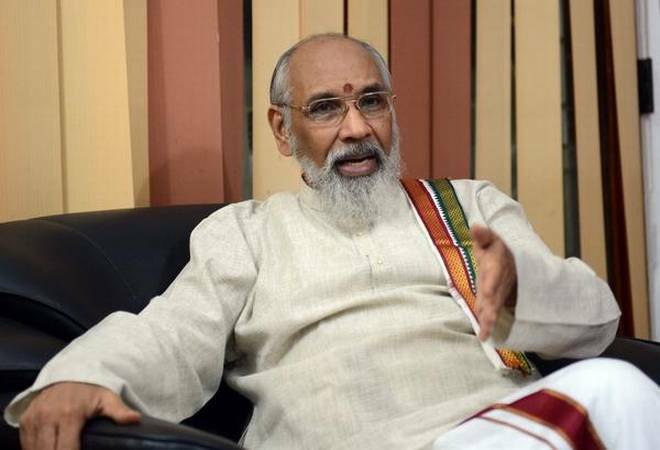 Colombo, June 3 (newsin.asia): The Chief Minister of Sri Lanka’s Tamil-majority Northern Province, C.V.Wigneswaran, is likely to launch a Tamil Diaspora-backed political party in two weeks’ time, reliable sources said. The new party will challenge the long-established “top dog” of Lankan Tamil politics ,the Ilankai Tamil Arasu Katchi (ITAK). It will have the existing Tamil Peoples’ Council (TPC), as its core. The TPC had been founded by Wigneswaran earlier after he developed irreconcilable differences with ITAK leaders R. Sampanthan and M.A.Sumanthiran. The yet unnamed party is likely to include the Tamil National Peoples’ Front (TNPF) led by Gajendrakumar Ponnambalam; the Eelam Peoples’ Revolutionary Liberation Front-Suresh (EPRLF-Suresh) led by Suresh Premachandran; and the Peoples’ Liberation Organization of Tamil Eelam (PLOTE) led by D.Sidharthan, among other smaller groups. The ITAK is the single largest constituent of the Tamil National Alliance (TNA), the main Tamil political formation in Sri Lanka.The TNA presently comprises the ITAK, EPRLF (S), PLOTE and Tamil Eelam Liberation Organization (TELO). However, the EPRLF (S) and PLOTE are on the verge of leaving the TNA. The ITAK is the oldest and the strongest party in the Northern and Eastern Sri Lanka. But it is now seriously challenged. In the February 10, 2018, Local Bodies elections, it had to lose ground and struggle to keep its ‘top dog’ status. The ITAK could face major challenges in the coming elections to the Northern Provincial Council and to the Lankan parliament in August 2020. It is being faulted for not delivering on its promise to give the Tamils a new constitution with greater powers to the Tamil-speaking North and East. The constitution-making process has got stuck after reaching the final stage- the Steering Committee chaired by the Prime Minister. The reports of the various subject sub-committees which it the Steering Committee is considering, are a political bombshell for the ruling Sri Lanka Freedom Party (SLFP) and the United National Party (UNP). The SLFP and the UNP fear that greater devolution of power to the Tamil minority will alienate their base – the majority Sinhalese community. A growing section of Tamils feel that the ITAK-led TNA has not pushed the Tamils’ case strongly enough. The ITAK appears to them to be in a cozy relationship with the Sri Lankan government led by President Maithripala Sirisena and Prime Minister Ranil Wickremesinghe. On the other hand, the Northern Province Chief Minister Wigneswaran has been consistently voicing radical Tamil demands and lambasting the ITAK for its alleged failures. However, the process of forming a new political party is not easy because the registration process is complicated. No new political party can be registered with the Election Commission, if there is an election pending. And elections are pending in Sri Lanka now. But Wigneswaran can get an already registered party with its name and symbol by negotiating a takeover. There are about 64 registered political parties in Sri Lanka which are dormant and can be taken over. Wigneswaran’s team could approach the office bearers of one of the parties and request it to pass a resolution to hand over the party (and symbol if needed) to him and his team. According to political sources, a deal of this sort could cost LKR 40 lakhs or LKR. 4 million at present. This is peanuts for the wealthy Tamil Diaspora. A key sources in the ITAK said that the new party had asked if it could adopt the “tiger” as the election symbol. But this was shot down because the Liberation Tigers of Tamil Eelam (LTTE), much admired by the Tamil Diaspora and radicals among Tamils resident in Sri Lanka but banned by the government of Sri Lanka, had the “tiger” as their symbol. Reportedly, it was then decided to ask if the “springing tiger” which was on the flag of the Chola kingdom in Tamil Nadu could be used. But it is not clear if this idea is still being pursued. Will He Take The Plunge? Be that as it may, there is a school of thought which believes that Wigneswaran might back out at the last moment. According to informed sources in the ITAK, Wigneswaran will not form a party and field himself in the next elections without a guarantee of a convincing win. While he himself is popular, the parties with him are small and not popular. At any rate, they are no match to the ITAK. The other snag is to keep some of his potential allies in control. He is said to be at odds with Gajendrakumar of the TNPF and Suresh Premachandran of EPRLF-Suresh ,sources in TELO said. But the most important deterrent could be India’s hostility, a TELO source said. “India would not like a pro-LTTE or very radical political formation to gain control of North Sri Lanka which is close to the Indian State of Tamil Nadu, home to 60 million ethnic Tamils.